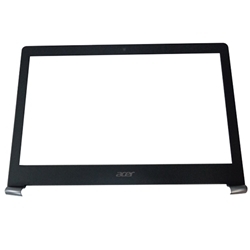 Description: New Acer laptop lcd front bezel, 17.3". This part is black in color with silver hinge cover caps and it is for FHD/UHD versions of the model listed below only. This may be the part you need if your existing bezel is cracked or damaged.